These Charming People by Michael Arlen – short stories about the Lost Generation and the Mayfair set. 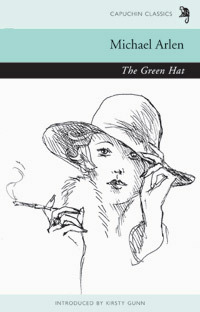 The Green Hat by Michael Arlen – Capuchin Classics’ debut title originally published in 1924 featuring a breathless and tragic heroine. 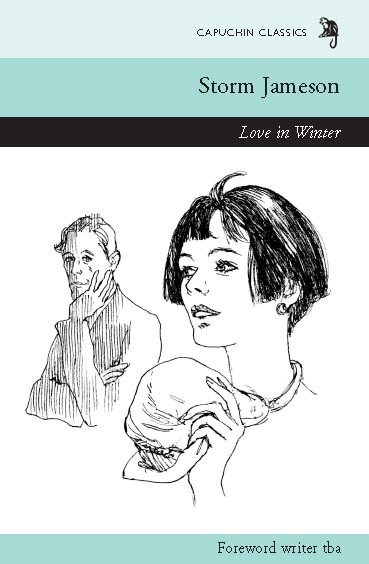 Love in Winter by Storm Jameson – set during the interwar years about a writer struggling with her work and marriage. I’ve never read any Jameson (I love her first name Storm) but have been aware of her for a number of years. Tales of Sexual Desire by Leo Tolstoy – because I loved Anna Karenina. Tolstoy’s depiction of Anna was the first portrait of a woman written by a man that I felt was real. This is a collection of short stories. I also can’t wait to see the film The Last Station about Tolstoy’s final years. Brixton Beach by Roma Tearne – I loved her debut Mosquito and have her next book Bone China lined up waiting for me. So this was a serendipitous find! Popco by Scarlett Thomas – I was completely stunned by Thomas’ The End of Mr. Y. It had everything I’m interested in: books, mystery, philosophy and quantum physics. 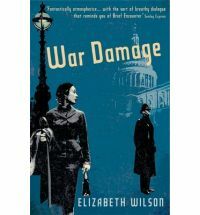 War Damage by Elizabeth Wilson – I just couldn’t resist, the cover caught my eye and the plot looks interesting. How can you not want to read a story about murder amongst the bohemians of Hampstead Heath? I think it’s actually the second novel by Wilson, the first being The Twilight Hour set in postwar Britain. And finally, I got a gorgeous little book called We Are The Friction which I first spied on Nonsuch Book‘s blog and was lusting after for months. I’ve been rather slow with my reading recently and have only just started Affinity by Sarah Waters properly. Part of the reason is that I’ve been watching Joss Whedon’s Dollhouse season 1 and have started on Supernatural season 4. Dean Winchester, you are so hot. I know, I know, I can hear you all saying, what about all the other books you have been promising to read? What about the Persephone Books you purchased last year? Well, Persephone Reading Week hosted by Paperback Reader and The B Files is coming up soon in May (3rd – 9th), so I’ll try and read at least one then. And the others, we’ll just have to see. At least I have a tonne of titles to choose from! I think about all those other books whenever I go on a book buying spree too, but end up just shrugging and thinking “oh well” 😛 I clicked over to your Persephone post, and I’m also saving Good Evening, Mrs. Craven for Persephone Week. Really looking forward to it. You bought so many books and I don’t know any of them! I have never heard of the Capuchin Classics, is there a general concept behind them? (I often feel I miss out on lots of things not being from either the US or the UK). It sounds so familiar, having a ton of books you still need to read, but not being able to resist buying “a few” more when you come across them. Nymeth: I can’t wait for Persephone Reading Week. The dovegrey spines keep staring at me from my bookshelf. candletea: I think the concept behind Capuchin Classics is similar to Persephone Books, they are trying to republish titles that have slipped off the radar or are not easily available. It’s great isn’t it? I love reading book blogs because you come across titles that you don’t find in mainstream reviews. Ah, those dove-grey spines stare at me too… accusingly. Here’s to catching up in the first week of May. Dollhouse is great but it’s slow to start (FOX put a nail in its coffin early on by ordering too many stand-alone stories to attract more viewers and losing the viewers they already had through not enough story). I can never understand the criteria of the tv studios when it comes to Joss Whedon’s work. Why do they keep pulling the series before they’ve even given him a chance? They should know he’s brilliant after Buffy. And I’m still lamenting the premature end of Firefly. What a list – but no – I do not think that you have too many at all. the Capuchin Classics are a wonderful series and I love the illustrations by Angela Landels – I think that they really suit the books. I have just finished and review “Two People” by A. A. Milne and thought that it was a classic well worth rescuing. i also have the Green Hat but haven’t got around to it yet! Where did you get your Capuchin Classics? I made a bit or an error and actually went to their address in Kensington Church Street which turned out to be an office with nobody in it rather than a shop…. so I got them in borders – but I think that they have a good mail order service? Anyway – enjoy your reading and great blog – thanks for sharing! Hello and thanks for stopping by! I got my Capuchins from their online shop – no hassle plus they had a 3 for 2 deal. You may want to check it out.